Unzyme will conduct a very special experiment at SYNAPSI in Tampere and Helsinki. About four years ago we had just released our debut album, and got the chance to play at SYNAPSI. It was a very encouraging experience, and we still think of it as some kind of a milestone in our career. Now that we’re about to release our new album, it’s the perfect timing to present Unzyme in it’s current form, many iterations later. 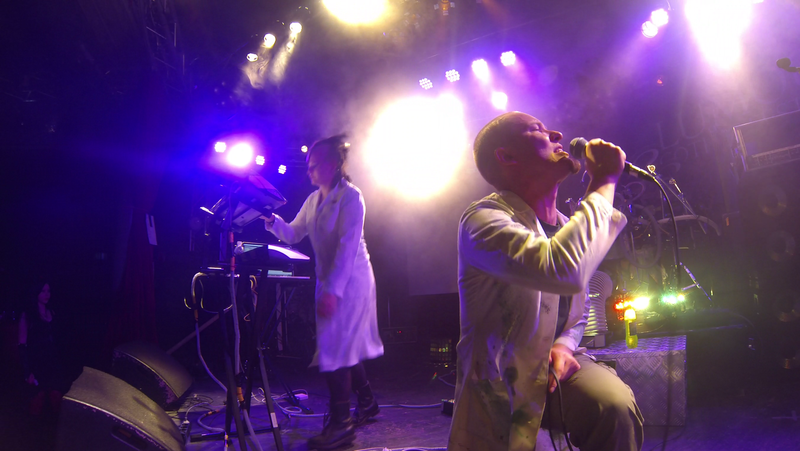 We have fresh songs, a huge load of new sense altering devices, a lot more energetic performance and our lab coats have received a fair bit of damage over the years. Also, it’s a great honor to play with Hocico, a legendary band that has been around for quite a bit longer than we have. Hope to see you all at SYNAPSI! Get your tickets now, while they’re still available. The photo was taken at Lumous Festival a few weeks ago.